Sarah Lawrence College has been awarded a grant from the Dr. Lee MacCormick Edwards Charitable Foundation to create an Art History / Curatorial Studies Enrichment Fund. The $14,000 grant will be used to bring curatorial and museum professionals to campus for guest lectures and workshops; support field trips for students in Art History and Curatorial Studies courses to museums and galleries in New York City and the Metropolitan region; and underwrite curatorial internships for two Sarah Lawrence students. Dr. Lee MacCormick Edwards, Class of 1976, was a renowned art history faculty member at Sarah Lawrence from 2000–2008. She specialized in the arts and social history of the 19th century, particularly the Victorian Era. 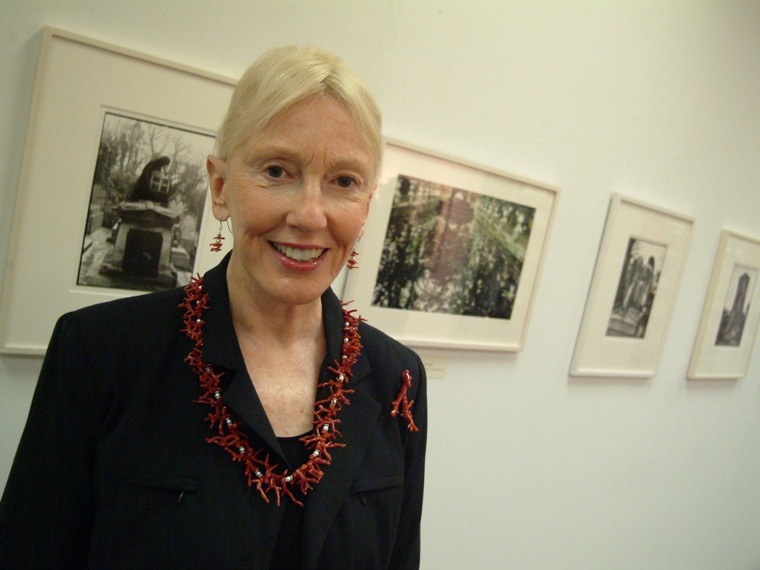 She was also an accomplished professional photographer whose work was exhibited in the Barbara Walters Gallery of the Heimbold Visual Arts Center and elsewhere. Dr. Edwards received her graduate degrees at Columbia University. She died in 2014 in her native Australia at age 76. In the rapidly shifting marketplace of the visual arts, a thorough understanding of the principles and practices of curation has become increasingly important for undergraduate art history students. In recognition of this, Sarah Lawrence created a pilot program in curatorial studies in 2015 with a seed grant from the Andrew W. Mellon Foundation. Students can avail themselves of a variety of courses such as "Contemporary Curating: Art / Contexts," "Art Writing," and "Exhibition as Form," and have benefited from hands-on participation in curating exhibits at museums and galleries at Sarah Lawrence and elsewhere. The grant from the Edwards Foundation expands the numbers and types of curatorial opportunities open to undergraduates art history students and increases their exposure to the world of exhibition and curation. This is the second grant to the College from the Edwards Foundation. Last year, a grant for the studio arts program supported the production of "artists' books" by Sarah Lawrence undergraduates, who interviewed visiting contemporary artists on campus and in their studios and created attractive books based on each artist's work and mission. The books are currently on press.